Taking its cues from Hollywood Regency interiors, the Lonnix nightstand is puttin’ on the ritz in a big way. 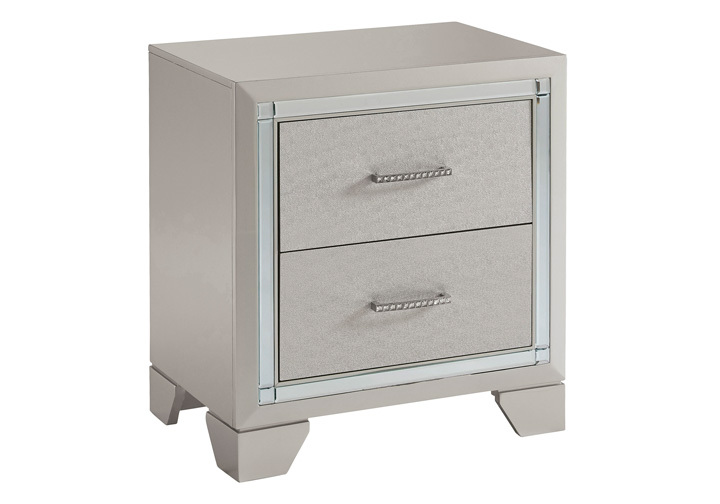 The nightstand’s ultra-clean profile is elevated with a spectacular metallic silvertone finish made all the more interesting with a hint of embossed texturing on the sleek, flush-mount drawers. 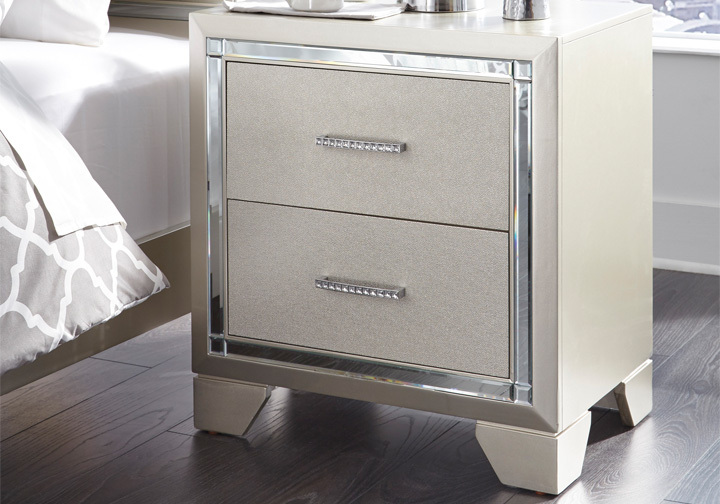 The beveled mirror trim that frames the nightstand creates a rich, reflective effect, while ultra-modern nickel-tone pulls with faux crystal insets serve as a fabulous finishing touch.